It turns out that 60% of Americans still wash their laundry in warm water. According to this article, an easy way to save $60 a year is simply to change to cold water washes. Personally, I switched to cold water awhile ago and never noticed a difference in the cleanliness of the clothes. Saving $60 just by moving a dial from “warm” to “cold” is a pretty good deal, if you ask me. Yes! All laundry gets washed in cold by default in our house. Once in a long while we might run the shower curtain through on hot with white vinegar, but that’s about it. The article estimates 300 loads per year to get the $60 savings in heating cost. So the Coldwater detergent costs 173-112.5 ($60.50) more than regular detergent. That makes the cost a total wash (pun not intended, but appreciated). Good point, Shawn. 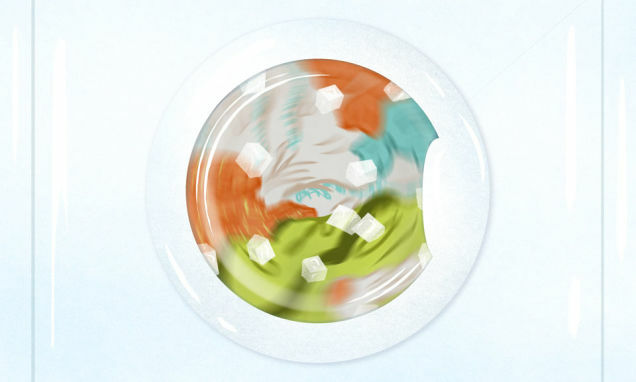 I’ve always used regular detergent, haven’t noticed a difference. Personally, I wouldn’t buy a special detergent just to wash in cold water.